THE Scottish Beef Association has given a cautious welcome to the Cabinet Secretary's CAP reform announcement. Beef producers knew they were going to be hit hard by the new deal, but many will admit it could have been a lot worse. Following Richard Lochhead's speech to Holyrood on Wednesday, the SBA has offered its support to many of the key points to emerge. They reckon the five-year tracnsition period - one of the headline terms of the announcement - will be vital in allowing established beef producers time to restructure. SBA chairman Scott Henderson said: "If our members' average loss of 30 per cent happened overnight many businesses would also have disappeared, overnight. "My own business was set to lose more than 40 per cent. That now is an eight per cent annual reduction - something that I can cope with, just." The £45m beef improvement package has also been dubbed as an essential lifeline to beef businesses. Mr Henderson continued: "Properly designed and targeted, this has the potential to give the industry the tools to improve our technical efficiency and financial performance to cope with reduced public support. "A few businesses already make a profit before subsidy - we must grasp the opportunity and all get there." The Scottish Government believe the new strict activity requirements will lead to a reduction of around 600,000 ha of eligible land. This, the Association hope, gives the potential to boost area payment rates further down the line. Mr Henderson added: "Using your claimed area in 2013 was another essential to stop the land grab and ensure money goes to active farmers. 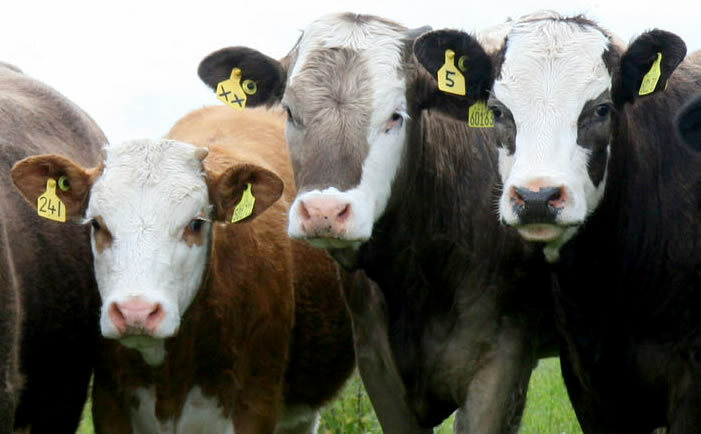 "We are also pleased with the doubling of coupled payments for beef calves and with the first 10 calves getting a doubled payment the base payment should be upwards of €100. "The extra €65 for island calves should help those in line for the payment even if it doesn’t result in many extra calves. "There is still a lot of fine detail to sort out which could make a huge difference one way or the other. "Lets hope that the devil is not in the detail. "If Mr Lochhead was looking for marks out of 10 for his efforts so far, I would give him a five."